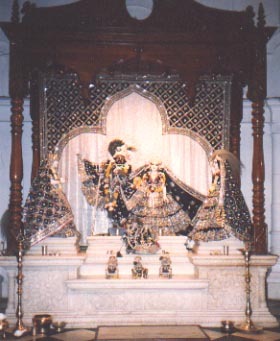 Their Lordships Sri Sri Krsna-Balarama. 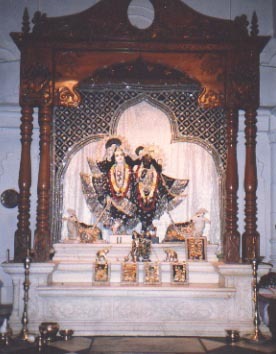 Srila Prabhupada and Srila Bhaktisiddhanta Sarasvati. 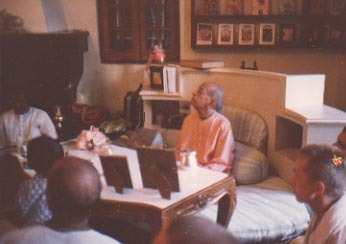 Darsan with Srila Prabhupada in his room. 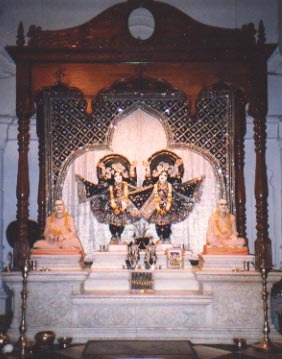 Srila Prabhupada opened the Krsna-Balarama Mandir in 1975 after much personal struggle. 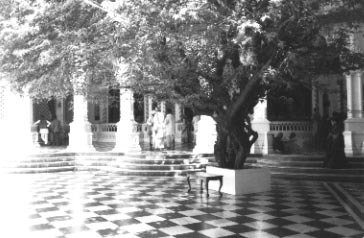 By his grace, devotees from all over the world have visited Vrindavan, the sacred place where Lord Krsna performed his childhood pastimes. 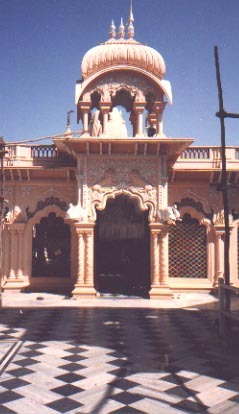 It was here in his room (behind the Krsna-Balarama Mandir) where Srila Prabhupada left this world on November 14, 1977. 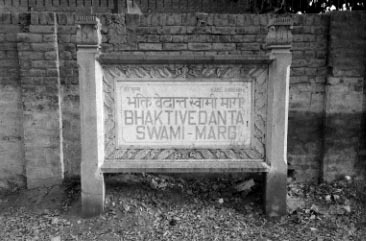 The road in front of the Krsna-Balarama Mandir has been renamed in honor of His Divine Grace A.C. Bhaktivedanta Swami Prabhupada.